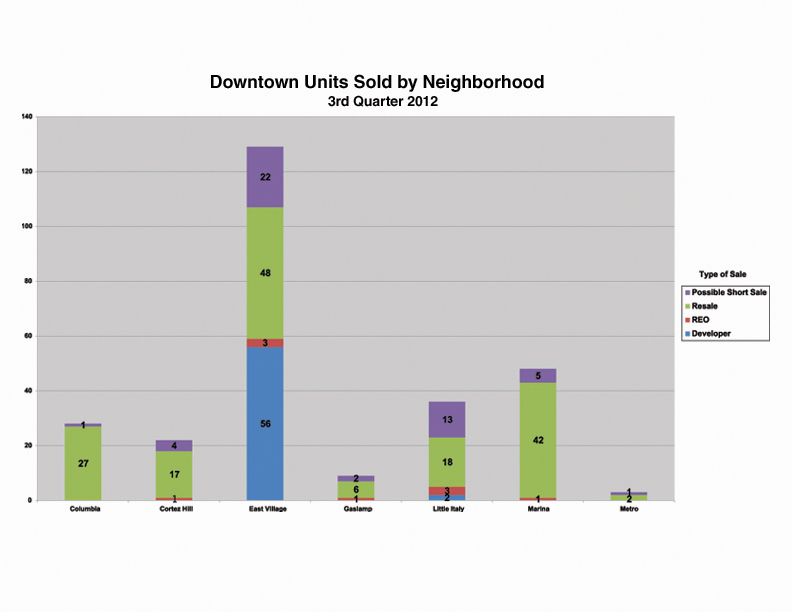 What Downtown San Diego neighborhood is experiencing the most sales? What Downtown San Diego neighborhoods are experiencing the most sales? 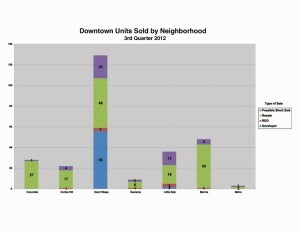 For the 3rd quarter of 2012 East Village has experienced the most transactions. Much of the inventory was new properties sold by developers; however there were more traditional resale properties as well as short sales in East Village than the other 92101 neighborhoods. Click link for more information on East Village.